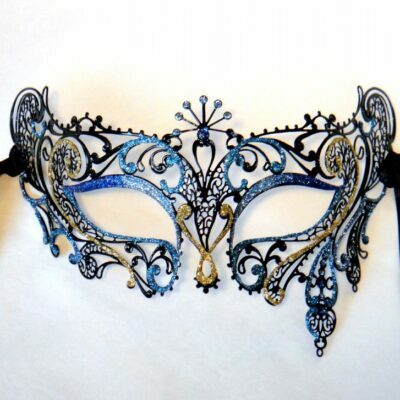 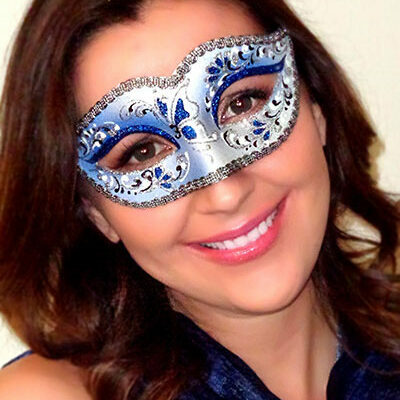 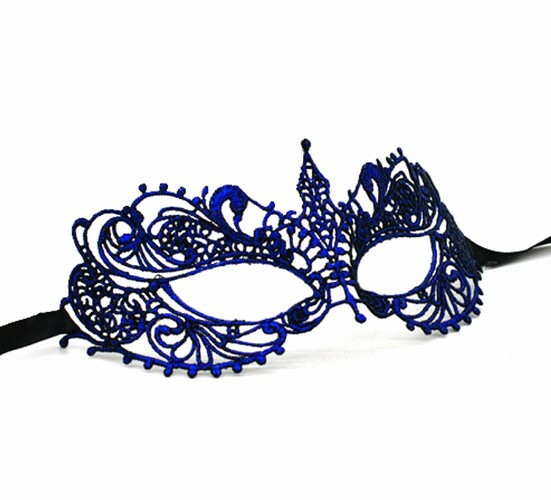 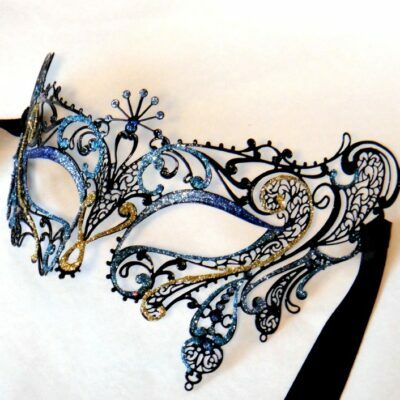 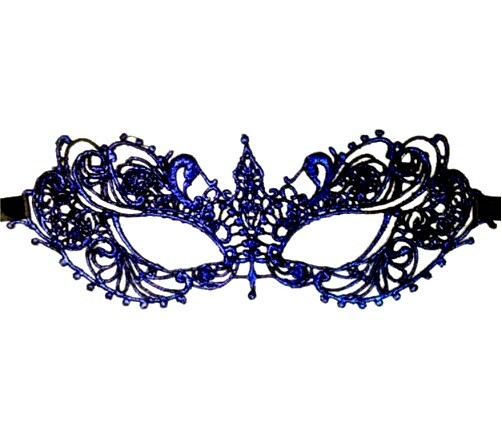 Elegant yet inexpensive Blue Lace Mask, super light and comfortable as it is made from stiffened lace. 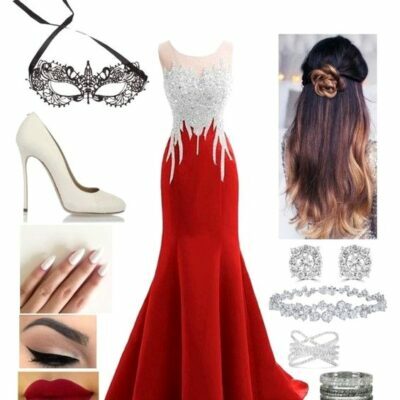 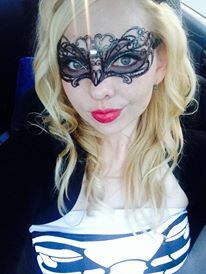 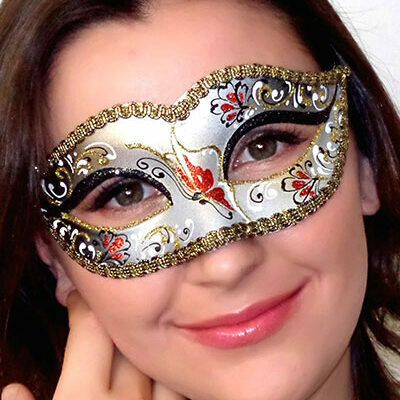 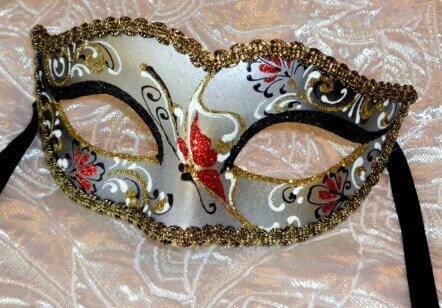 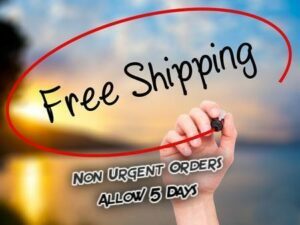 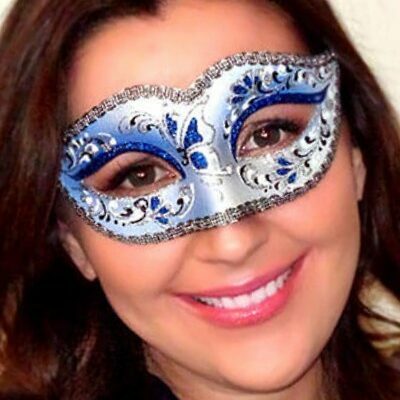 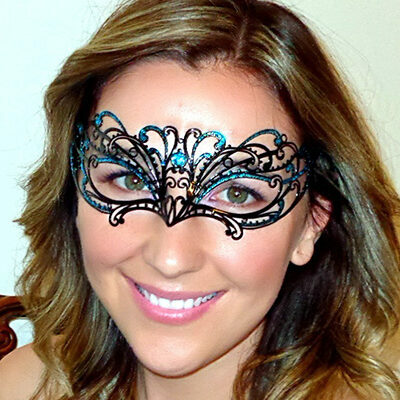 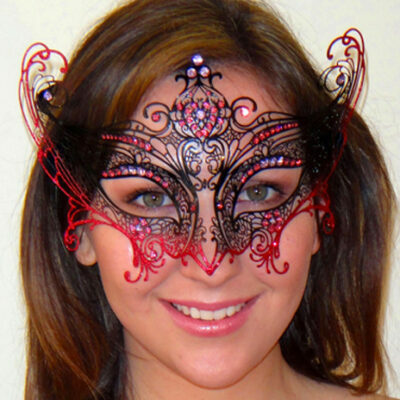 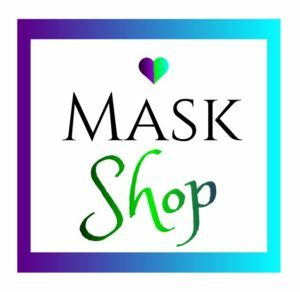 This Masquerade masks suits Petite to Regular faces best. 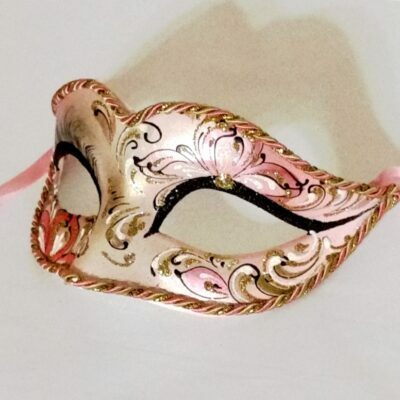 It is secured with ribbon ties. 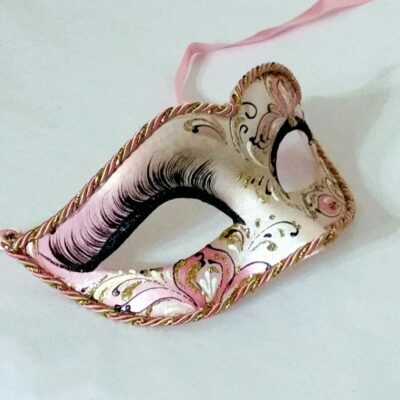 Made in China – Good Quality.